The cookbooks are here! The cookbooks are here! The first edition of the Voyager Academy Family Cookbook has arrived, and it looks amazing! The price for each cookbook is $15 and includes 250 recipes, as well as artwork from Voyager students and staff. Please use the following instructions to purchase a Voyager Academy Family Cookbook through ORGSonline.com. Multiple copies may be purchased. Once payment has been received, your cookbook(s) will be delivered to your student’s classroom. If you have any questions or special instructions please feel free to contact Kylie Koerner directly at kkoerner@voyageracademy.net. Thank you for supporting VAHS Culinary Arts! If you pre-ordered a cookbook, it will be delivered once payment is received. Create your password and get logged in. Once you are logged in, please select the “Form Builder” tab to purchase a cookbook. Scroll to the bottom, and select “Voyager Academy Cookbook”. At this point it will walk you through the process and when all orders are submitted, the total amount due for your family is listed under the CURRENT BALANCE. After all orders have been submitted, select the PAY NOW button to submit your online payment. (The PAY NOW button appears below the CURRENT BALANCE amount shown on your account’s main page.) Follow the on-screen prompts to complete and submit your payment. Congratulations to Voyager’s High School Music students! 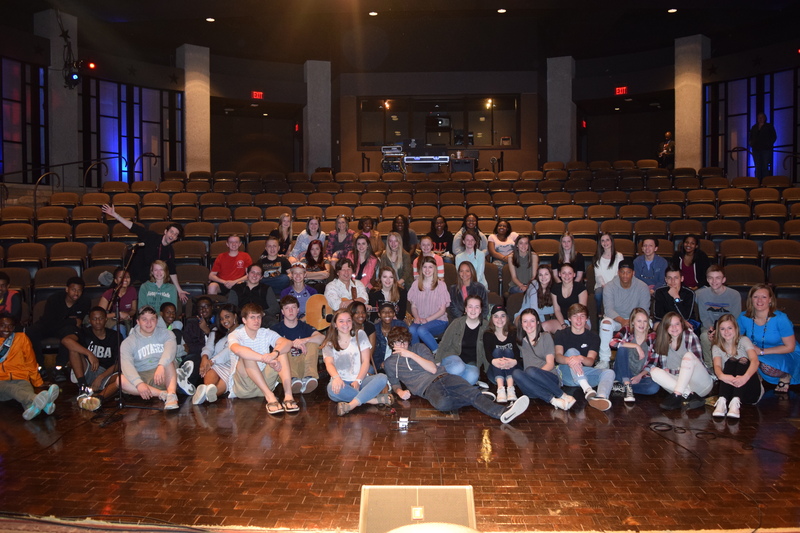 The students traveled to Tennessee this past weekend to compete in “Heart of America-Nashville” Competition and brought home several awards!! The entire HS Chorus won 2nd runner up in Concert Choir Division! And, Bull City Lights won 1st runner up in Open Division Show Choir!! To place in TWO separate divisions in only their 2nd year competing at the National level is quite an accomplishment! https://voyageracademy.net/wp-content/uploads/2017/12/NEW_voyagerlogo_transparent_with_large_bold_text_small_1.png 0 0 voyageradmin https://voyageracademy.net/wp-content/uploads/2017/12/NEW_voyagerlogo_transparent_with_large_bold_text_small_1.png voyageradmin2017-04-04 18:05:402017-04-04 18:13:17Congratulations to Voyager's High School Music students! The HS Choral & Instrumental students had the amazing opportunity to tour the Country Music Hall of Fame while on their competition trip to Nashville, TN in April. As a part of the tour, they co-wrote & recorded the song “We’re Lovin’ Nashville” with award-winning songwriter James Dean Hicks. The Little Mermaid is being performed this week in the middle school gym on Thursday, Friday, and Saturday evening. Time of the show is 7:00. Students from the middle school and elementary school will be performing! You will have an opportunity to have your picture taken with cast members! Please see the attached brochure.